It’s a year from today. Are you happy with what you’ve accomplished? Start 2017 with a four-hour workshop that could change your forever. Goal-setting is a proven, practical process that you can apply IMMEDIATELY to achieve more. This workshop is for you if you want to learn the skills necessary to set achievable goals, to plan and reach for your dreams in a way that significantly increases your opportunities to succeed. 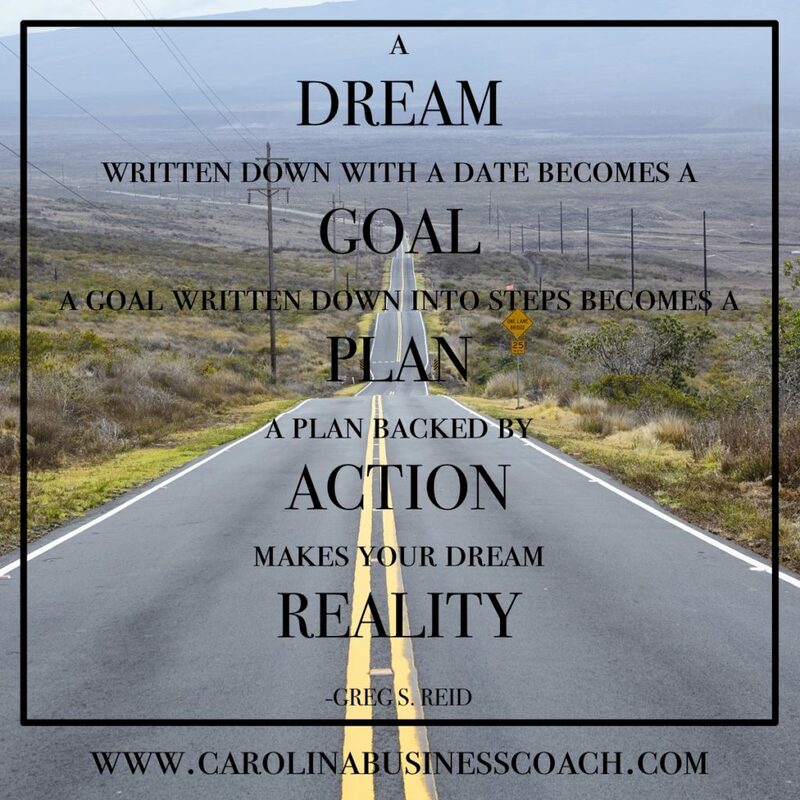 “Working with Carolina Business Coach, we developed a set of goals that were not just based on revenue, but things I wanted to change or improve in the business." “I am more confident in my own abilities”. How to identify and prioritize realistic personal and professional goals.